Welcome to my Music Diary – today for the 9th November! On the 9th November 1967, the first issue of the Rolling Stone Magazine was published in San Francisco and sold for 25 Cents. 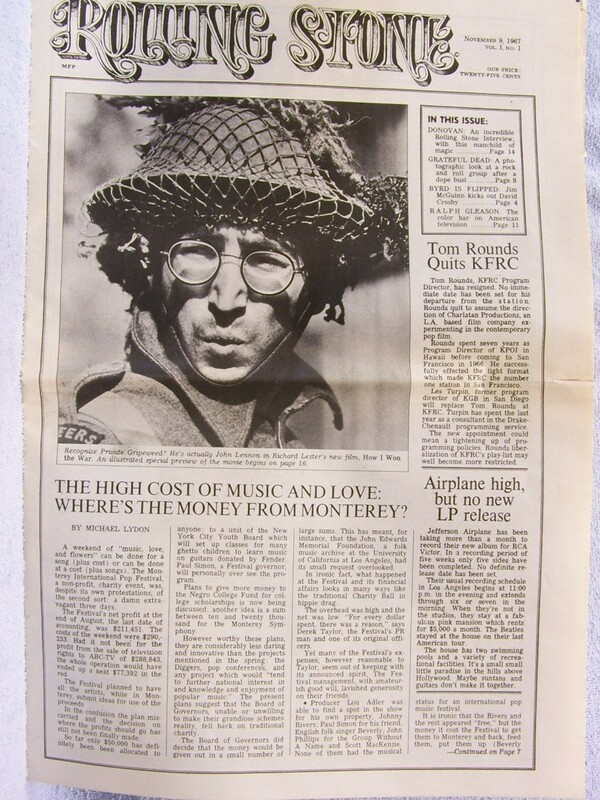 On the cover is a picture of John Lennon, while acting for the film „How I won the War“ (directed by Richard Lester). The moniker „Rolling Stone“ was a compilation of the three things: The famous Muddy Waters song, Bob Dylan’s first Rock’n’Roll record and – of course – The Rolling Stones. The magazine was founded by Jann Wenner, who is still the editor-in-chief, and music critic Ralph J. Gleason. The total circulation in 2012 was over 1.4 millions only for the US market. Over the years the Rolling Stone was also published all over the world and in different languages.